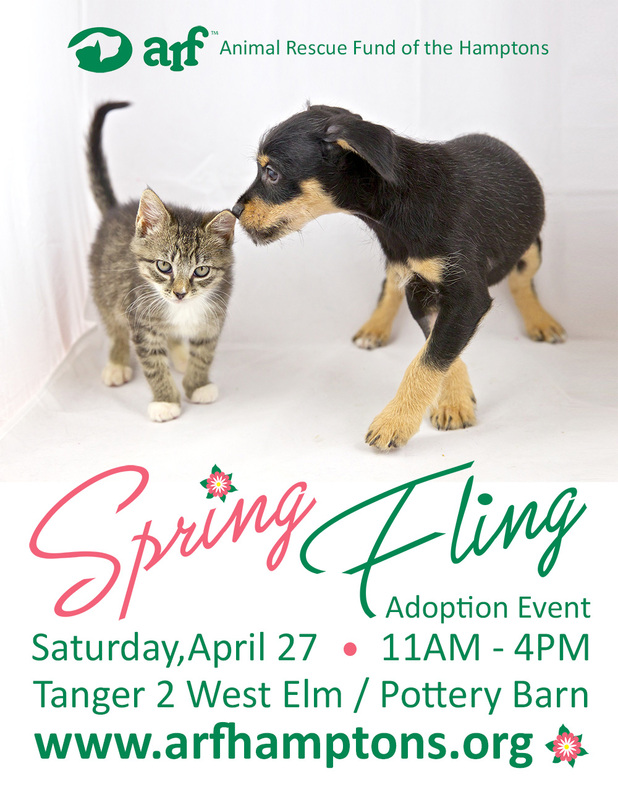 Join us for a cat and dog adoption event at the Tanger Outlet Center in Riverhead (near West Elm/Pottery Barn) from 11 AM – 4 PM. All ARF animals are spayed/neutered, microchipped and vaccinated to age limit. If you are looking to adopt a dog, and have another one at home, please bring them for a meet and greet. Free admission, adoption fees apply. Get your adoption application pre-approved online now, by filling out the forms below! ARF has planned a special morning of fun-filled activities and goodies for you and your pets. Come join us at the ARF Adoption Center! There’s something for everyone, from 10 AM – 12 PM. ALL ARE WELCOME! *For cats and dogs only. $25 fee per vaccine for unaltered animals. No appointment necessary. Join ARF at the Mayor’s Alliance for NYC’s Animals Adoptapalooza, their signature pet adoption extravaganzas! These public events feature wonderful cats, dogs, and sometimes rabbits for adoption from dozens of Alliance Participating Organizations. Each Adoptapalooza features additional activities, which might include advice on pet care, training, and grooming; product giveaways; microchipping; dog licensing; pet photographers; dog performances; or other fun activities for the whole family — two- and four-legged alike. More than 300 dogs, cats, puppies, kittens, and rabbits will be available for adoption from more than 25 New York City area shelters and rescue groups. The Mayor’s Alliance for NYC’s Animals is proud to present Adoptapalooza in partnership with the Petco Foundation! Join us for the ARF Thrift Shop Designer Show House Cocktail Party & Sale to benefit the animals at ARF. The ARF Designer Show House vignettes are inspired and arranged by our guest designers from ARF Thrift Shop donations and the designers’ personal collections. All items are for sale at charity prices, and 100% of all proceeds from the event go directly to support ARF’s livesaving work. For sponsorship opportunities contact Jennifer DiClemente at jennifer@arfhamptons.org. Save the Date for the Bow Wow Meow Ball to benefit the animals at ARF. More details coming soon. Save the Date for the Stroll to the Sea Dog Walk to benefit the animals at ARF. More details coming soon. For sponsorship opportunities contact Jamie Berger at jamie@arfhamptons.org.